I really liked the location. The building has an elevator. The appartment was clean. The kitchen was adequately equiped. Beds were ok. I could have easily stayed a few weeks in it. The size of the room was good and the kitchen would be useful for a long stay. Great location near everything bus stop right around the corner. Los apartamentos son amplios y el precio es asequible. L'appartement est bien localisé. Pas très cher. Appartement sale et mal équipé . La télé ne fonctionne pas La literie est en mauvaise état. Problème de clé pour ouvrir la porte principale de la résidence. 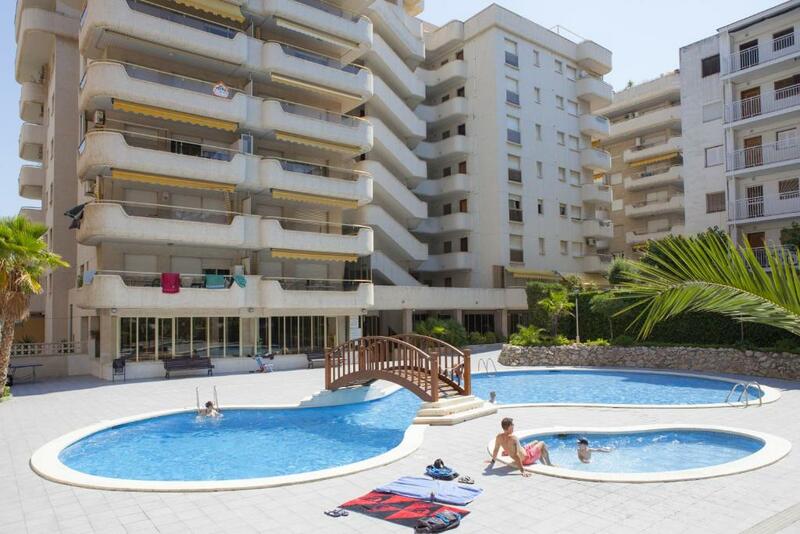 Suite Apartments Arquus is located in the center of Salou and 1,300 feet from the beach. 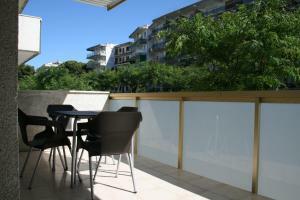 Each self-catering apartment features a private balcony. There is a shared, seasonal outdoor pool. 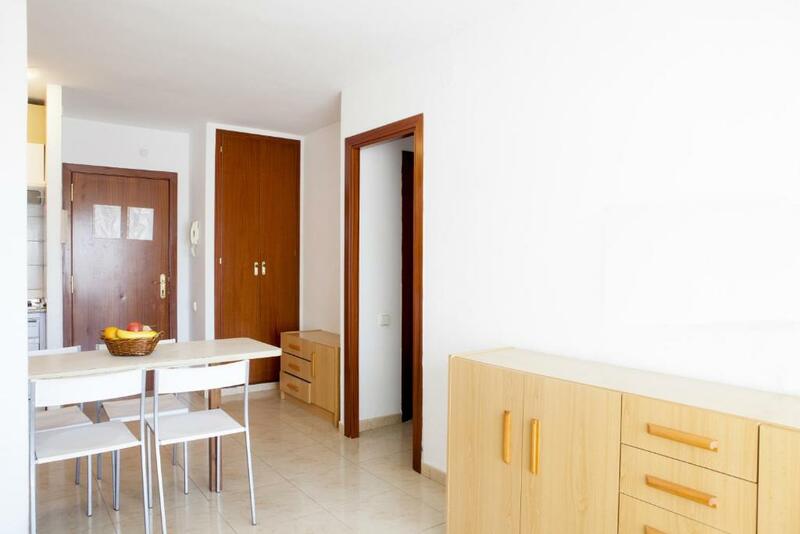 The simple apartments at Arquus are simply decorated, including cool tiled floors. They all include a bathroom with bath. The center of Salou offers numerous bars, restaurants and leisure facilities for you to enjoy. 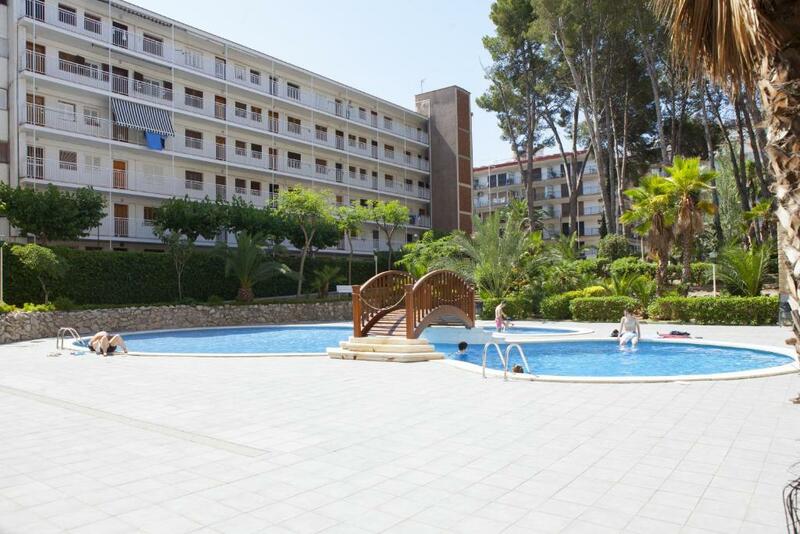 This is an ideal base for exploring the beautiful beaches of the Costa Dorada. The closest airport is Reus Airport accessed by bus or in a short taxi ride. Alternatively, Barcelona's El Prat Airport is 50 mi away. The theme parks Port Aventura and Aquopolis La Pineda are located only 1.9 mi away from the apartments. When would you like to stay at Suite Apartments Arquus? This comfortable apartment includes a large balcony and has a lounge area with sofa bed, kitchenette and bathroom. 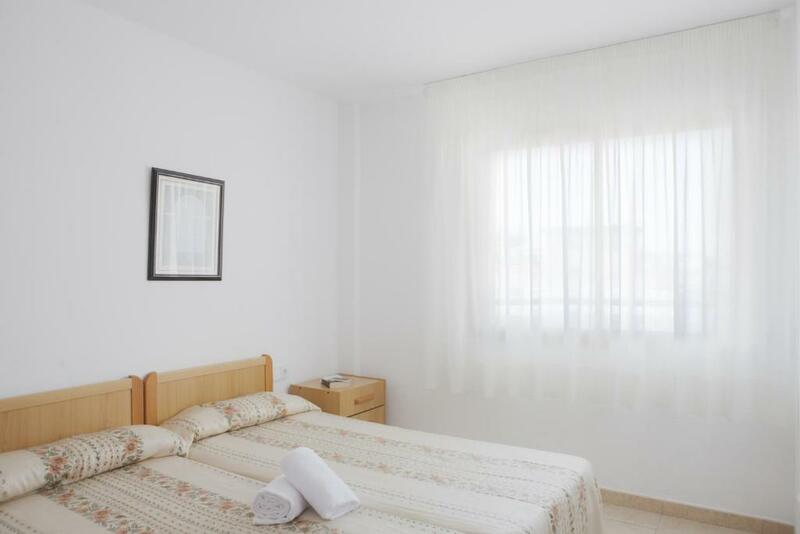 This spacious studio includes a large balcony, kitchenette and bathroom. 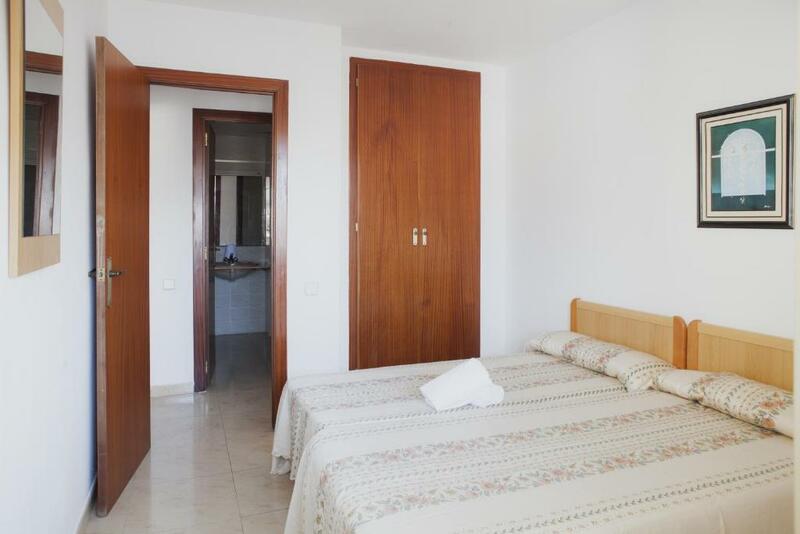 Los apartamentos Arquus están situados en pleno centro turístico de Salou, a 200 m. de la playa "Capellans" y muy cerca de la fuente luminosa, dispone de amplios apartamentos tipo 2/4 y 4/6 totalmente equipados y amueblados. Por su situación en el centro de Salou, en menos de 100m. pueden encontrar todo los servicios: tiendas de todo tipo y servicios como medicina, alquiler de bicicletas y ciclomotores, automóviles, tenis, y todos los deportes náuticos. Grupo Ibersol dispone de hoteles (tres, cuatro y cinco estrellas) y apartamentos distribuidos por toda España y parte de Francia: desde la Costa Dorada hasta las Costa del Sol, pasando por Valladolid o Palma de Mallorca. House Rules Suite Apartments Arquus takes special requests – add in the next step! Suite Apartments Arquus accepts these cards and reserves the right to temporarily hold an amount prior to arrival. A security deposit of EUR 100 in cash is required upon arrival for incidentals. This deposit is fully refundable upon check-out and subject to a damage inspection of the accommodations. Please note that the swimming pool is open from mid-June to mid-September. Please inform Suite Apartments Arquus of your expected arrival time in advance. You can use the Special Requests box when booking, or contact the property directly using the contact details in your confirmation. The television didn’t work, electrician was sent to fix it but he didnt fix it. The beds were extremely noisy it was so hard to get to sleep. No air conditioning. The outside balcony light didn’t work. Terrible bed, very noisy, old furniture, 1 glass and 1 toilet paper. It was not clean at all, it seemed like the room was just left there for ages until someone rents it. Also there were condoms in the elevator, very unsanitary. The address given was the wrong one. No microwave or kettle. There were only 1 toilet paper roll and 1 soap bar supplied for the whole week (Was not mentioned beforehand so we had to buy everything) I had to pick up our rubbish and walk down the street to throw it away. We had friends coming over for a drink but they were not allowed inside. Not what you expect from a hotel. the room is a bit dirty. and the furnitures are very old.